Rare are those artists whose incandescence stretches to both writing fiction and literary essays: Coetzee, Woolf, Kundera. 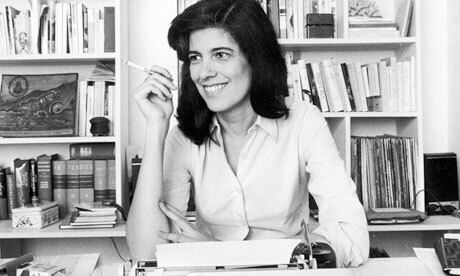 Though she preferred to be thought a novelist Susan Sontag’s fiction is grandiloquent, best avoided or as she says of Antonin Artaud “rewarding to … read bits of, but who overpower and exhaust if read in large quantities.” Sontag’s form was the essay where her mastery of language, erudition and pedagogic skill achieved its apotheosis. Whatever topic, Sontag’s essays are a joy to read, an adroitness she shares with Geoff Dyer and Gabriel Josipovici. Under the Sign of Saturn includes a diverse selection of topics. My favourite is the essay on cultural extremist Antonin Artaud, of whom I knew little before. His attempt to create “total art,” an environment that was “magical, paroxysmic, purgative, and, finally opaque” was fascinating and sadly foredoomed, but what a noble ambition. I cannot decide whether I wish to go down the Artaud rathole, tempted though I am. Artaud offers the greatest quantity of suffering in the history of literature. So drastic and pitiable are the numerous descriptions he gives of his pain that readers, overwhelmed, may be tempted to distance themselves by remembering that Artaud was crazy. In other essays, Sontag unforgivingly, but necessarily, refutes the attempt to whitewash Leni Riefenstahl’s history as chief Nazi propagandist film-maker, and unpicks how fascist regalia was adopted for sexual theatre. She writes brilliantly of Walter Benjamin’s attraction to astrology and subjects him to a Saturnine analysis. There are shorter, but illuminating, pieces on Barthes and Canetti. The latter essay spurred me to follow these essays with Canetti’s only novel Auto-da-Fé (1946). Disillusionment soon follows. Most of this material consists of unsupported speculation or academic verbiage. No Theory is too far-fetched to have been advocated somewhere by someone; there is no methodological approach that has not been used to interpret Kafka’s work. Some monographs resemble autistic games; it is impossible to imagine a reader who might reasonably benefit from them. Although it is possible to revel in Kafka’s artistry without reading a single word of criticism, it is natural after reading the short stories and the three incomplete novels to dip into the diaries and letters. From there a curious mind is drawn to biography and interpretation. Disillusion swiftly follows. Kafka: A Collection of Critical Essays – Ronald Gray, ed. Excluded from this list because I consider them inferior are Brod’s biography (interesting but unreliable), Pietro Citati’s hagiography and Deleuze and Guattari’s showiness.